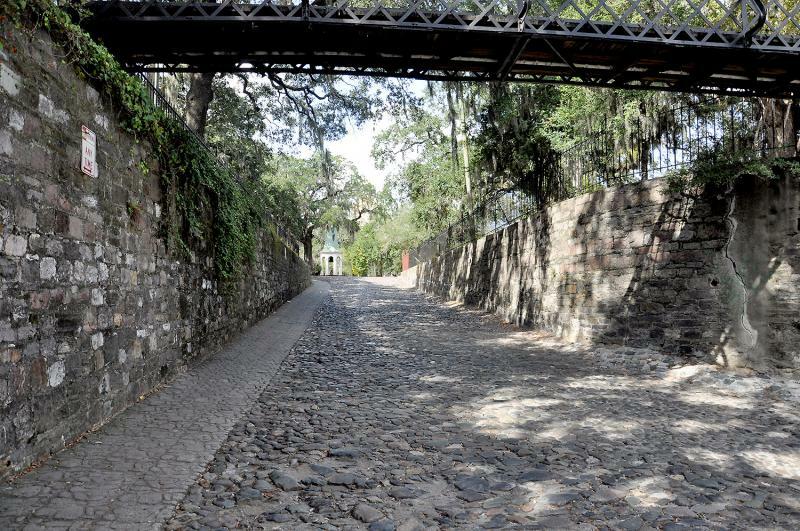 The cobbled ramps to River Street are part of a long and varied history of pavement in Savannah. History is all around in Savannah - including underfoot, according to Robin Williams, chair of the Architectural History department at SCAD. He talked with GPB's Emily Jones about why he says paving is an important part of history. Robin Williams of SCAD explains how pavement helps reveal history. Williams began his paving research in Savannah, but has since expanded the project to other historic cities around the country. On his website, Williams chronicles his findings and catalogs the different paving solutions found in cities around the country. On Tuesday, January 24 he will give a lecture entitled "History Underfoot: How Street and Sidewalk Paving Modernized Savannah" at the Massie Heritage Center. The free talk begins at 7 p.m.